Kantha Bopha has 5 children hospitals in Phnom Penh and Siem Reap ( Jayavarman VII ) founded by Dr. Richner and funded mostly by individuals of Switzerland. These hospitals gives free of charge treatment to over 500,000 children per year. Dr. Richner organizes information evenings with a live concert twice a week at the Jayavarman hospital in Siem Reap ( Beatocello ). Dr. Richner came to Cambodia first time during the civil war in 1974 sent by the Swiss Red Cross but had to leave the country when it got too dangerous with the Khmer Rouge. When he came back for a visit in 1991 and saw the conditions he decided to stay, reopened the existing Kantha Bopha I hospital in 1992 and built another 4 hospitals where over 10 mil children got free treatment ever since, with help of donators in Switzerland and Cambodia. He got honored in Cambodia and Switzerland and is one of the most respected people here and in his home country where everyone knows about his work. 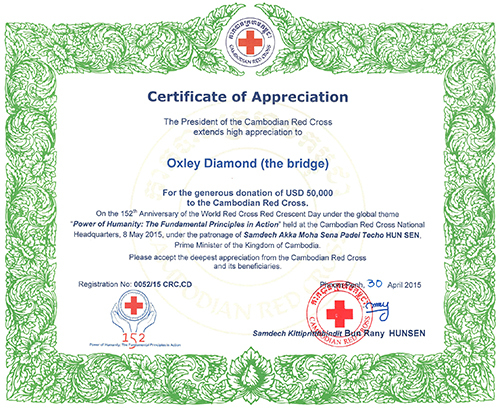 Oxley Diamond (Cambodia) Co., Ltd was awarded a Certificate of Appreciation for the generous donation of USD 50,000 to the Cambodian Red Cross on it’s 152th Anniversary of the World Red Cross Red Crescent Day under the global theme 'Power of Humanity: The Fundamental Principle in Action' held at the Cambodian Red Cross National Headquarters, 8 May 2015, under the patronage of Samdech Akka Moha Sena Padei Techo HUN SEN, Prime minister of the Kingdom of Cambodia. Thye Hua Kwan Moral Society (THK) is a non-profit voluntary welfare organization since 1978. We provide community based services in social, health, emotional, educational, family and disability to all. We help anyone who needs help regardless of race, creed, language, culture and religion. Currently, THK group of charities operate more than 50 centres and services which include the Ang Mo Kio – Thye Hua Kwan Hospital (AMK-THKH) and Thye Hua Kwan Moral Charities (THKMC). Our charity group now consists of AMK-THKH, 4 welfare homes, 5 family service centres, meals on delivery, therapy services, counselling services, 14 senior activity centres, centres for early intervention for infants with disabilities and a cluster of welfare services for the under-privileged. 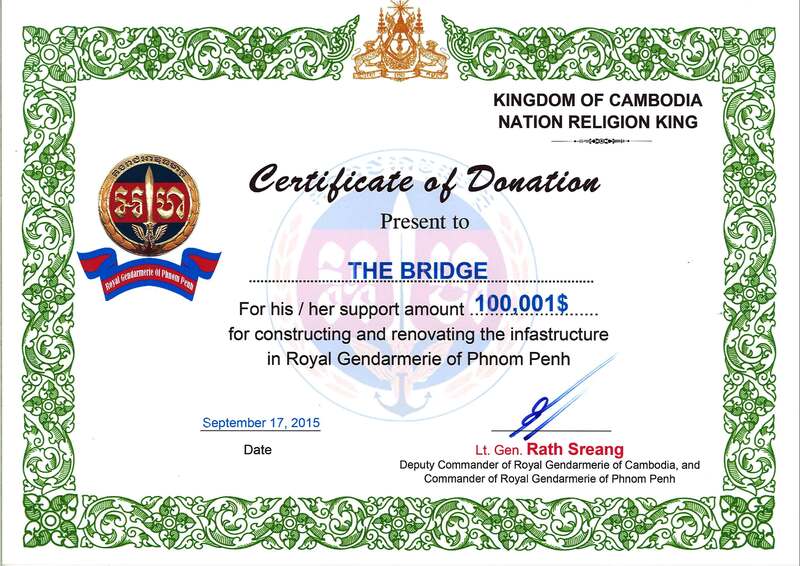 THK is committed to providing all rounded support and good service to the community. Karate-do is a martial art peculiar to Okinawa in its origins. Although it has in the past tended to be confused with Chinese boxing because of the use of the chinese "kara" character in its earlier name, in fact for the past thousand years, the study and practice of masters and experts, through which it was nurtured and perfected and formed into the unified martial art that it is today, took place in Okinawa. It is, therefore, not a distortion to represent it as an Okinawan martial art. 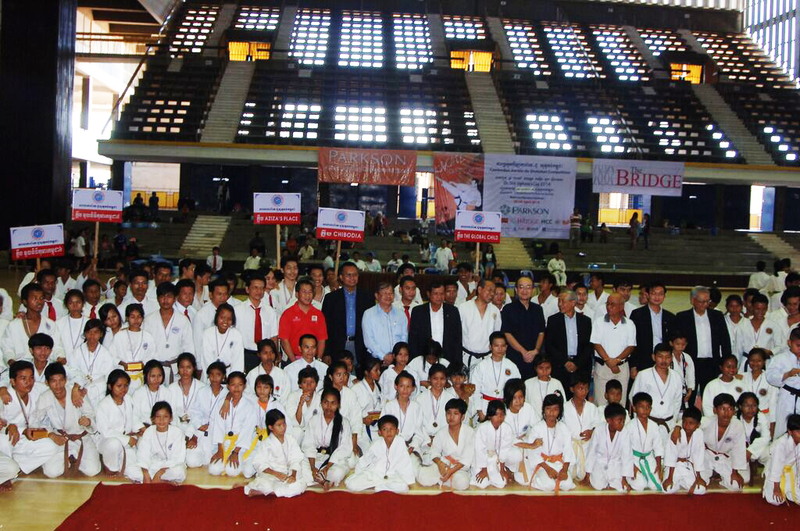 Karate-do Academy has been travelling worldwide to spread the benefits of martial arts especially to young children. To strengthen their body and mind is one of their key purpose. 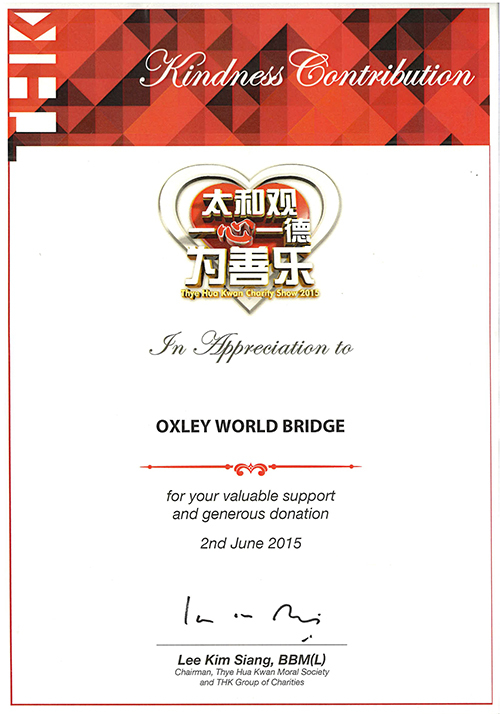 A sponsorship for this event was made to support their cause. 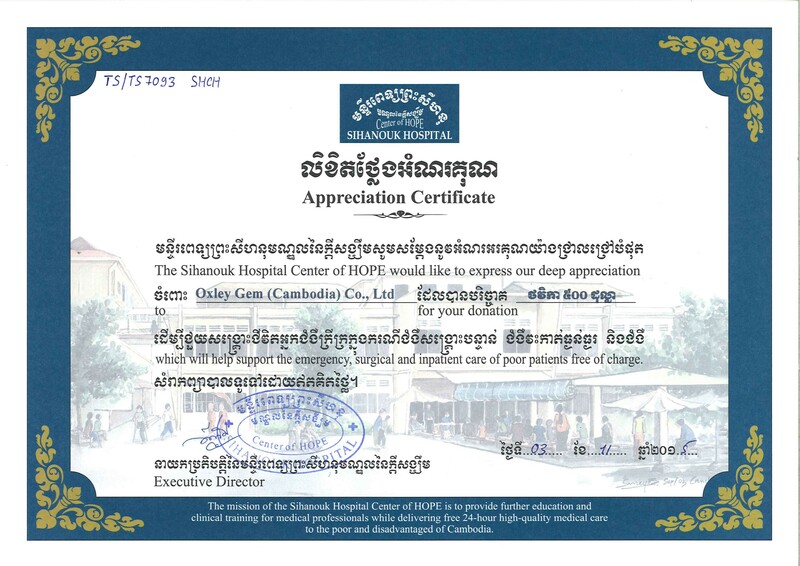 Sihanouk Hospital Center of HOPE’s mission is to provide for the further education and training of medical professionals while delivering free, 24 hour high-quality medical care to the poor and disadvantaged of Cambodia. HOPE worldwide Ltd. (HOPEww) changes lives by harnessing the compassion and commitment of dedicated staff and volunteers, delivering sustainable, high-impact, community-based services to the poor and needy. HOPEww operates a global reach of programs and affiliate organizations, addressing health and social issues in 154 U.S. cities as well as 71 countries worldwide in the most underserved and socio-economically challenged communities around the world. Health and social services are a major focus of HOPEwwprograms, comprising 72% of global activity programs. HOPEww has a diverse set of funding sources. 2013 financial statements reflect a total income of nearly $27.4 million, with 85% from a variety of individual contributions and grants. In Cambodia, women consist of 52% of the total population and 70% of them are in labour force. Women involve in the self-employed or unpaid employment accounting for 79% or 82%, respectively (ADB, 2008). The majority of women entrepreneurs involve in the micro-business and informal sector where policies and regulations fail to protect. 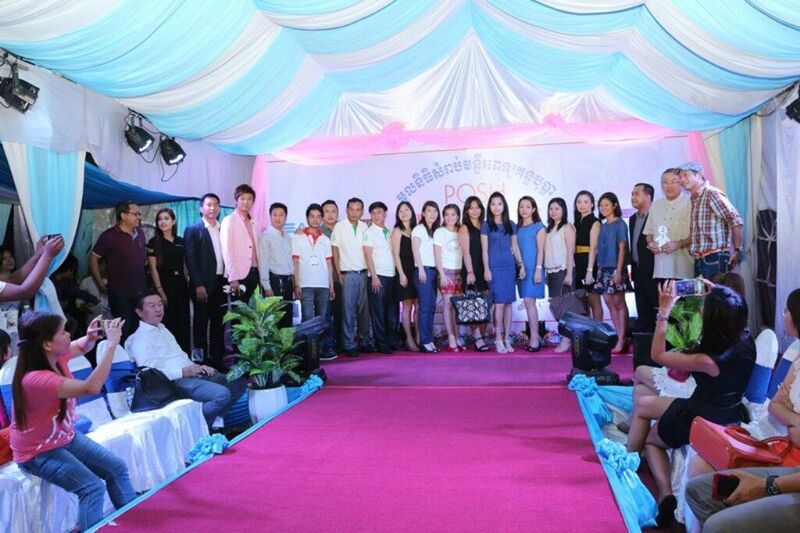 Although the majority of Cambodian women are prevalent in the business sectors; however, they face many problems which are even more than problems faced by men entrepreneurs in starting and expanding business in Cambodia because of the culture norms and lack of the access to education and market information. Seeing these difficulties, CWEA has been established in 17th October 2011 under the initiative of a group of women entrepreneurs in Cambodia to support women entrepreneurs in starting and expanding their businesses. The objective of CWEA is to provide a representative platform for women in business to bring issues to the attention of government, the business community at large and the media for the purpose of improving the business environment and facilitating the growth of business activity in which women are constructively involved. We also aim to provide networking opportunities for members, share information, meet with stakeholders and manage industry-specific awards. 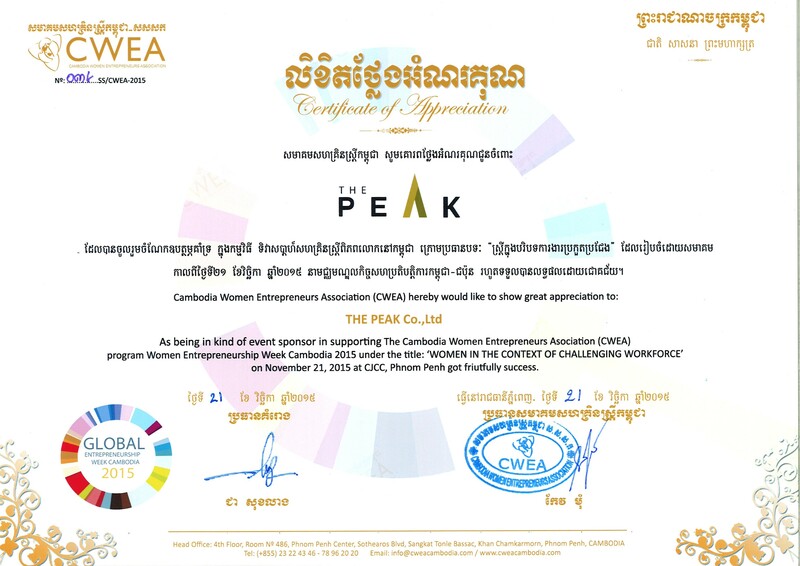 CWEA’s mission is to encourage and support the growth of women-owned businesses in Cambodia through collective efforts, providing business services, networking and building a single voice to relevant stakeholders on issues of common interest. Its particular interests are: the establishment and maintenance of a business friendly environment and supporting the competitiveness of women-owned businesses in Cambodia.